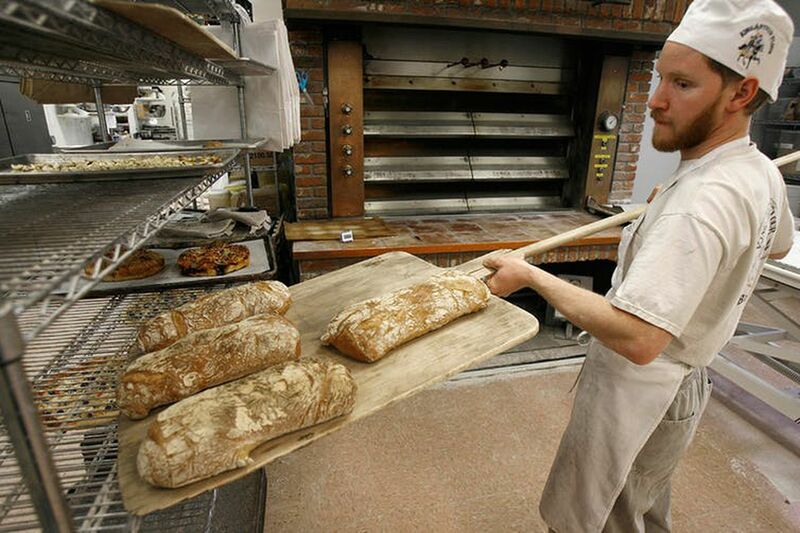 An employee at employee-owned King Arthur Flour Co. in Norwich, Vermont, takes bread from the oven. In an increasingly rare example of bipartisan cooperation, President Trump on Aug. 13 signed a law with a popular provision that allows the Small Business Administration to straightforwardly lend money to employee-owned businesses that wish to buy out retiring small-business owners. Furthermore, this measure – which we supported with research and analysis – will be a boon to the hundreds of thousands of small-businesses owned by retiring baby boomers that are at risk of closing up, putting millions of jobs on the line as well. A few employee-owned companies include grocery chain Publix Super Markets and staffing firm Penmac – the two biggest – as well as food companies King Arthur Flour and Bob's Red Mill and breweries Harpoon and New Belgium Brewery, maker of Fat Tire beer. Its most important element involves permitting the SBA to clear away many previous barriers so it can make guaranteed loans of up to $5 million to employee-owned businesses, especially ESOPS and worker cooperatives. This will make employee buyouts easier to do by significantly expanding the amount of credit available and will create more flexibility for sellers so that they can transition out of their businesses over a few years. The provision, previously known as the Main Street Employee Ownership Act, was written by Democratic Sen. Kirsten Gillibrand and had co-sponsors on both sides of the political aisle. It is the most far-reaching employee share ownership legislation to pass Congress in over 20 years. The legislation's impact could be far-reaching. If it's successful in leading more small business owners to sell to employees, it could help reduce economic inequality. That's because the primary beneficiaries would be working- and middle-class employees who would suddenly have a new way to build a substantial amount of capital. Joseph Blasi, Director of the Institute for the Study of Employee Ownership and Profit Sharing, Rutgers University and Douglas L. Kruse, Distinguished Professor and Associate Dean for Academic Affairs, Rutgers University. This article was originally published on The Conversation. Read the original article.